Jonathan will jet over to Germany in March to take part in the Cologne Literary Festival. UK events to meet Jonathan and get your books signed! 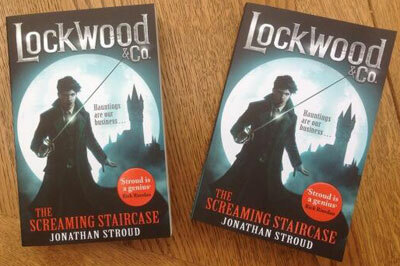 Jonathan will be doing two events in bookshops near London this autumn that are open to everyone, to come and meet him, get a book signed and find out more about the ghoulish world of Lockwood & Co.
Jonathan will be talking all things ghosts and spectral in a Lockwood event for this excellent children’s literary festival. The event will be at lunchtime on Thursday 5th October held in the beautiful Guildhall in Bath. Tickets can be booked here. There will be more events coming this autumn open to the public so watch this space for details. Jonathan will be taking off his ghost-hunting balaclava and warm jacket to keep the ghost chill away for an event with a sunnier atmosphere in October. Inspired by his Freedom to Think campaign, Jonathan will be chairing an event called ‘Get Creative’ for the Cheltenham Literary Festival on Sunday 8th October at 12.00 noon. Joining him on stage will be other top talent from the books world including Christopher Edge, Lizzy Stewart and Katherine Woodfine. Fire up your imagination as the panel discuss all aspects of creativity from things they made as children, to finding time for it in their busy adult lives and sharing top tips for budding creatives. Help the panelists prove their skills live on stage too! Jonathan will be hitting the road later this year, doing events tours in the UK and the US. The UK tour will run in mid October, and the US tour will happen in mid November. Watch this space for details, date and locations of the tours to be confirmed. The Whispering Skull on tour in the UK! The past fortnight has seen Jonathan take to the road again to visit schools, bookshops and literary festivals talking ghost-hunting, magnesium flares and, of course, tea and biscuits! It’s been a fantastic launch for The Whispering Skull in the UK, with many happy young readers and one very happy author. 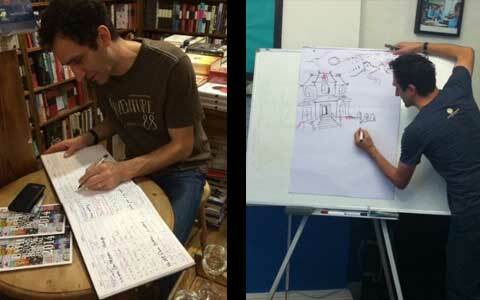 Jonathan took part in the inaugural Hertford Children’s Book Festival this week. 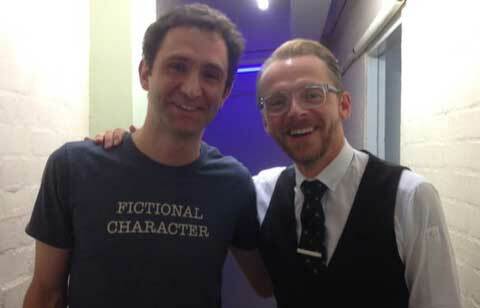 He joined a host of top authors including Holly Smale, Simon Pegg (pictured below with Jonathan) and more, on Thursday night in Hertford Theatre for a launch Gala event which saw the audience of hundreds spell bound as each author took to the stage to talk about books and reading. Jonathan also did some school events for the festival on Friday. Jonathan is about to hit the road travelling around the UK to talk about The Whispering Skull. The tour will see him visit Norwich, London, Bristol, Bath, Hertfordshire, Buckinghamshire, Portsmouth, Cambridgeshire and his hometown of St Albans. Lockwood arrives in the Netherlands! Jonathan is visiting the Netherlands next week for a three-day tour of the country, visiting schools and bookshops. The tour is set up by Boekhandel van Rossum, one of the best book shops in Amsterdam, in conjunction with Random House to celebrate publication of The Whispering Skull in Holland. The tour will see Jonathan visiting schools in Amsterdam and the Hague speaking to young people about the new installment of his award-winning ghost-hunting series. Boekhandel van Rossum, Beethovenstraat 32, 1077JH Amsterdam. Tel: 020 470 70 77. Jonathan takes part in ‘Museums at Night’! During May Jonathan will take part in a national arts initiative called ‘Museums at Night’ which will see museums and cultural centers all over the UK opening up after-hours to host author events. Jonathan will travel to West Bridgford Library in Nottingham to introduce young people and their parents to the ghostly hauntings of Lockwood & Co. Final details of Lockwood US tour! 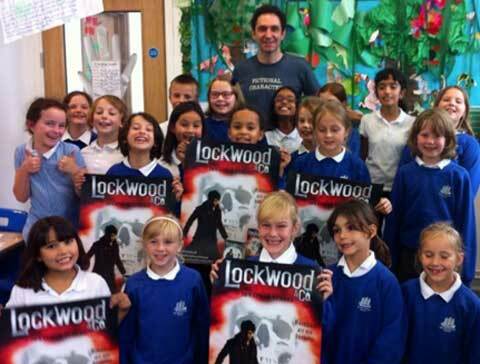 This month Jonathan will fly out to America to travel the country introducing readers of all ages to Lockwood and his trusty colleagues. YOU can come to these events, meet Jonathan and get your books signed. There are some amazing events lined-up – solo shows and also mega-multi-author events – book your seats now! ‘Fantastic Middle Grade Reads!’ - an un-miss-able event with Jonathan Stroud, Neal Shusterman, Eric Elfman, Carter Roy and Kate Rundell all talking about their latest books. 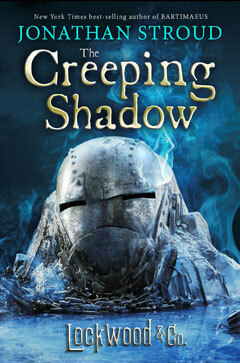 After school meet & greet, get your books signed and check out Lockwood’s ghost-hunt equipment. One for librarians! Jonathan Stroud will attend the Texas Library Association annual conference, doing events and signings over two days. Thursday 10th April, 10:00 – ‘Other Worlds’ multi-author event including Jonathan Stroud. Thursday 10th April, 14:00 – ‘The Graveyard Shift: Building Programs around Mysterious and Scary Books” multi-author event with Jonathan Stroud. Jonathan Stroud will attend the L.A. Times’ Festival of Books to meet readers and introduce them to Lockwood & Co. He’ll be on stage with two other bestselling authors Ridley Pearson and D.J. MacHale. Jonathan visited pupils at St Albans School, Herts, on the Monday, then he was with students at St Edmund’s School in Ware on WBD itself, before he travelled to Newcastle to take part in The Biggest Book Show ever set up by the official World Book Day crew. The Newcastle event was held in the Theatre Royal to an audience of nearly 1000 children from schools around the region. Jonathan shared the stage with other tops authors and illustrators like Cathy Cassidy, Charlie Fletcher, Laura Dockrill and Alex T. Smith. That’s an introduction to World Book Day that Lockwood will never forget! The Hertfordshire town of St Albans is to launch its first literary festival this autumn. Being Jonathan’s hometown it is obviously natural for him to lend his support to the launch of the concept, and he hopes to be involved in the festival itself come November. The tour was a resounding success and hugely enjoyable for Jonathan – he travelled around with his ‘partners in crime’ Marc Langebeck, the chair and master of ceremonies, and Judith Hoersch, an actress who read parts of the book in Lucy’s voice. Joined by the team from the German publisher, Random House, Sebastian and Verena, it was a merry team spreading the Lockwood message far and wide.